Looking for the perfect Manzanita vacation rental for you and your family or travel group? Take the time to browse our large selection of rental offerings below, conveniently sorted into specialized categories such as pet-friendly, beachside, North and South Manzanita, and more! Complete with a variety of amenities book your vacation rental today! Browse the latest additions to our rental property inventory. These newly listed vacation homes offer a wide variety of options for your next trip to the Oregon Coast. Choose a beachfront home, rent a coastal cottage, find a pet-friendly abode, or a family fun house, there is something for everyone with a Manzanita Beach Getaway Vacation Rental. Find the 1, 2, or 3+ bedroom home thats right for you and kick-start your Oregon Coast vacation adventure today. While these are new additions to our site, you can be sure they are up to the standards of excellence that all of our properties are held to. Start your Oregon Coast vacation the right way, and stay in one of our newly listed locations. From the beach to downtown, these homes are great for any group, whether youre looking to kick back and relax or immerse yourself in the natural beauty of the Oregon Coast, were sure one of these rentals is the right fit for you. Explore beautiful North Manzanita Oregon rentals perfect for your next home away from home! Our inventory listed below features homes and condos with a variety of amenities all conveniently located nearby to many fun and exciting things to do and see. Browse available options by entering your Arrival and Departure dates and Check Availability! Not finding what you desire? Dont hesitate to contact our office, we look forward to helping you plan your trip to the Oregon coast! Looking for the finest Manzanita Oregon vacation rentals? 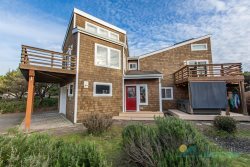 Peruse the list below of our beautiful South Manzanita properties! With a variety of homes and condos available with top-notch amenities, youre certain to find the perfect match for your Manzanita Beach adventure!